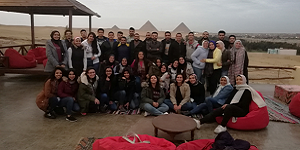 The faculty of Engineering organized a trip to Cairo on Friday, 7 December 2018 for 47 students from different faculties. 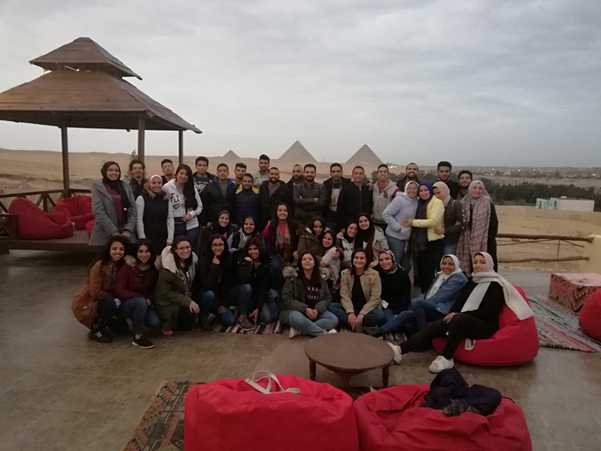 The programme of the day started at 7.30 am when the group left the university heading for Khan El Khalili and El Hussein district. After spending three hours at these ancient historic sites, the group went on a Nile cruise at 2 pm, to be followed afterwards by a safari at the Pyramids. The group left for their final destination; Dandy Mall at 7 pm. The return was at 12 am.